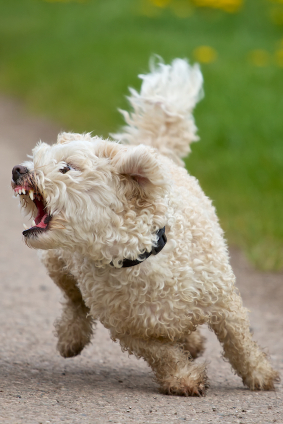 When it comes to aggression in dogs, it is a cause for many owners to be concerned. Aggression can be described as a threat of causing harm to another individual. It can involve lunging, barking, biting, snapping, growling, and/or snarling. Understanding the factors that contribute to aggression can often be helpful in treating it. A canine’s way of relating to any other canine will alter as he grows and matures. The amount it will change will actually depend on how socialized he was, his genes, and the supervision and training he gets. If you have a dog who lunges, pulls you towards or even barks at the other dogs while you are walking him, you will understand just how embarrassing and stressful it can be. 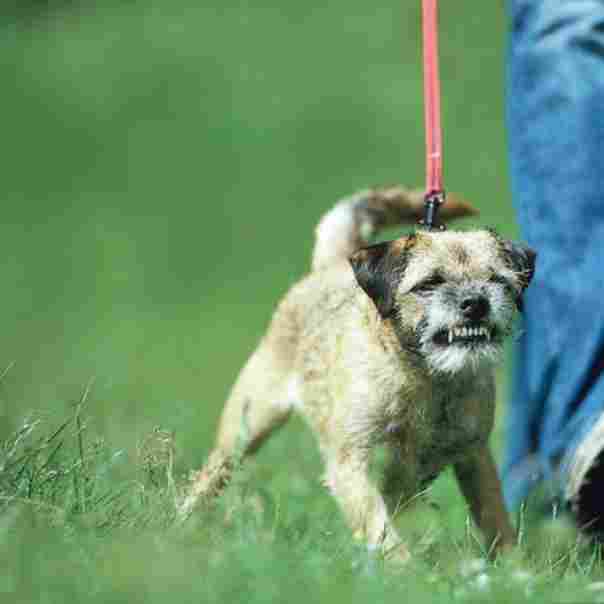 Behavior that is leash reactive has a few different aspects that will need to be considered. Greetings while on a leash aren’t natural. When a dog is off the leash and in an environment that they call their own, they don’t tend to greet other dogs from the side. They will not approach new dogs head-on and won’t make hard eye contact unless they are about to fight. However, when they are on the leash, they are generally forced to approach other dogs head-on and aren’t able to turn their bodies. Most of the time, dogs won’t want to fight, so they will display a few behaviors that have been designed to prevent a fight, such as growling, lunging, barking, and anything else that they feel will make the threat leave. The feeling of being trapped. If dog owners allow their animals to say hello, the issues can actually increase. Both animals will be trapped on their leash and will not be able to increase the distance that is between them. 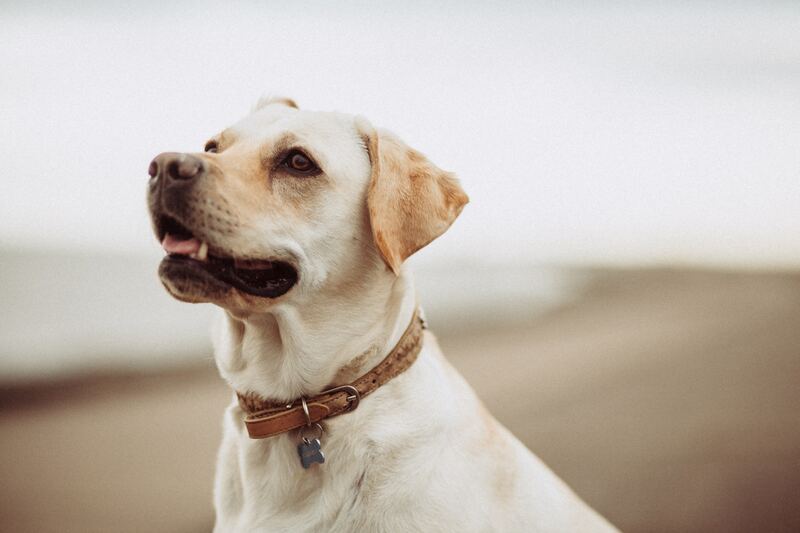 Owners will often have the animals on leashes that are tight in the event that something happens, but a tight leash can also communicate a bit of tension to the animals and this will just increase the amount of stress they are feeling. The result can be a pair of dogs who are rabidly barking at each other when their bodies switch from the flight response to the fight one. If this does occur with your dog, you will know that it can be easy to assume that the animals are just fine due to them not growling or barking. That being said, you might learn to recognize some of the other signs of doggie stress. These can include things like a low tail, flattened ears, scratching, panting, and pacing. Improper greeting. Allowing your animal to just charge right up to another dog, jump on him, bump him, and/or just get in his face is considered rude doggie behavior and this can be the result of dog-on-dog socialization when he was a puppy. While adult dogs can be patient with the antics of a puppy, they will also discipline the animal after they reach about 6 months of age. This isn’t a violent discipline. It typically takes the form of growls and barks. If your puppy has never experienced these behavior corrections, he might just carry these habits with him right into adulthood. At that age, if they greet another dog improperly, this will cause the other dog to react and then the first dog’s owner might criticize the owner of the second dog for its behavior, not realizing that his dog was actually the aggressor in this situation. Improper correction. There are a lot of people who correct their animal for any action they perceive as aggressive. Forcing the animal to lie down or sit in the path of an approaching dog can actually be a bit dangerous for a few reasons. First of all, your animal will learn that other dogs and people can make bad things occur. He will be feeling stressed and won’t be able to escape due to the leash. Punishment, such as saying no and grabbing him, jerking the leash, or yelling at him will increase the anxiety level of your animal and could make him try harder to keep any other dogs away. 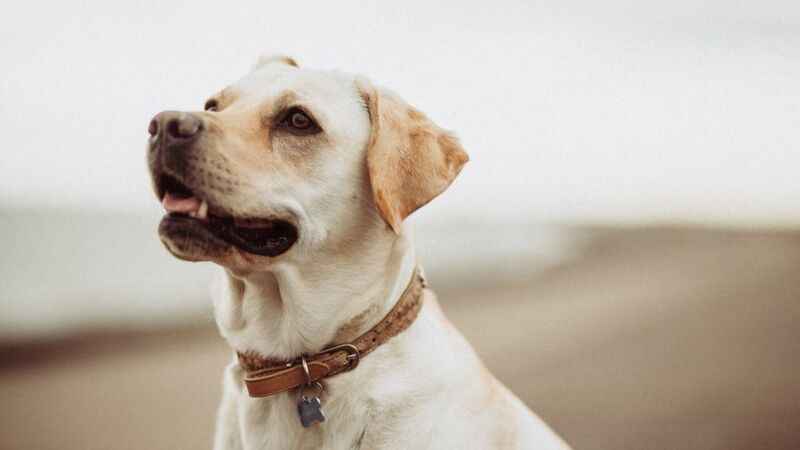 If you correct him for barking or growling at other dogs, this can also train the warning out and could possibly cause him to bite other dogs or people as soon as they see them without any warning, such as growling or barking. 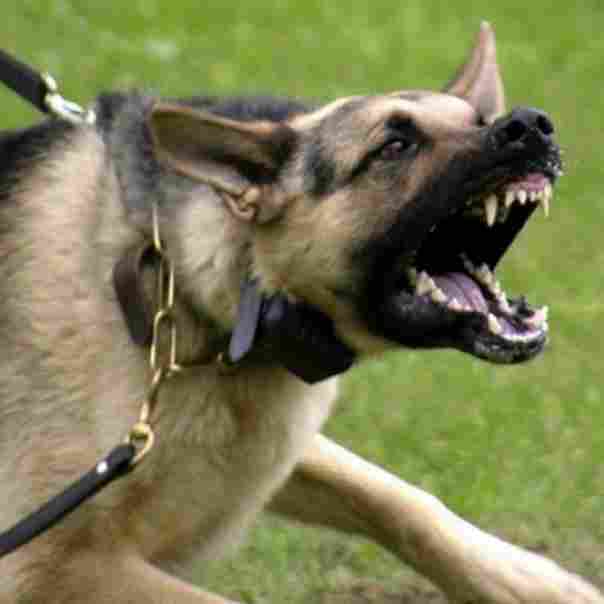 Correcting a dog who is highly stressed can also cause him to direct his aggression on to you. Try to get the attention of your animal before you go out. Before you leave your home, say the animal’s name and give him a reward when he looks at you. Start in an environment that doesn’t have too many distractions and then gradually work your way to areas that are busier. Only move on when you are able to get his attention regardless of the distractions. You will be effectively teaching the animal to comfortably look at you regardless of the environment. Begin your walk at a distance from other dogs. Wait until your animal notices the other dogs and then immediately attempt to get his attention and then reward him when you do get it. Do not wait for your animal to react. This will be teaching him that other dogs being present can be a good thing. As soon as he looks at you for more rewards, move closer to the other dogs and repeat the process. If your dog happens to lunge at another animal or barks, the training was too much too quickly. Add a bit of distance and then repeat the process. You should never punish the animal for barking because it can undo all of the work that you have done. Manage the environment. Keep your animal at a distance from other dogs that is comfortable and don’t allow any other animals to invade his space or greet him. Each experience that is negative will set the progress your dog has made back. If you happen to live in an area where there are a lot of people walking dogs, think about taking your animal to an area that isn’t as busy. Arc around other dogs. If you come to find that you are approaching another dog straight on, maneuver around him in an arc type shape. Reward your animal with a treat. If the other animal begins to bark and lunge, keep the attention of your dog and reward them with more frequency. Put the treats away as soon as the other animal has gone by so that your animal will associate other people’s dogs with good things. If your animal has ever harmed another dog or person, put him in a basket muzzle when you walk him. 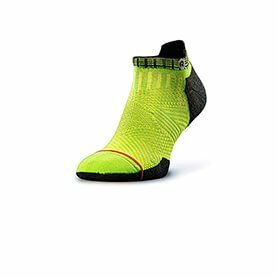 This will ensure that everyone remains safe while you work on that behavior. You might also seek out professional assistance. There is a Pet Helpline you can call for help. (952) HELP-PET. Social aggression. In households that have more than one dog, there isn’t typically one dog who is submissive or dominant. Actually, the roles of the dogs tend to change depending on the situation. As an example, one dog that claims access to the couch might allow the other dog to claim a favorite toy. However, if there is more than one dog who wants to be the alpha in a certain situation, there can be fights. You should reward behavior that is polite and attempt to manage the environment so that conflicts don’t develop. Aggression induced by pain. Animals try to protect themselves with aggressive responses when they are in pain so that they can prevent any further pain. The unfortunate thing is that they will often attack a person or another animal that is nearest to them as opposed to what actually led to or caused the pain in the first place. If you are going to handle an animal who is in pain, do so with caution. Many owners have been bitten when they attempt to help their dog who is injured. Using devices for training that inflict pain, like e-collars, choke chains, and prong collars are never recommended due to the fact that they can actually cause the animal to be even more aggressive in an attempt to stop the pain. Guarding resources. Dogs can try to protect any resources that they control. For example, a dog might guard resources like a bed, toys, and food, that are valuable to them, but they might also try to guard resources that aren’t as valuable, like bits of garbage. When they are guarding these resources, dogs might use techniques like biting, snapping, or growling in an effort to maintain control over them. Aggression from frustration. When dogs are prevented from doing whatever it is that they want to do, or even made to do something that they don’t want to do, they can easily become frustrated and can direct their aggression to the person or animal nearest to them. Examples of this might be aggression that results from physically being help back by holding on to their collar or maybe even being forced to get into a kennel. Aggression that is learned. Once an animal shows aggressive action for any of the reasons listed above, but especially for those aggressions that are motivated by fear, they can learn that the best way to achieve their goals or get whatever it is that they want is to act aggressively again. If lunging and barking at the mailman makes him leave, the animal will learn that lunging and barking are effective. In a similar situation, if they bite a hand that reaches for them and the hand goes away, they can and will earn that biting will remove any contact that isn’t wanted. Aggression that is redirected. 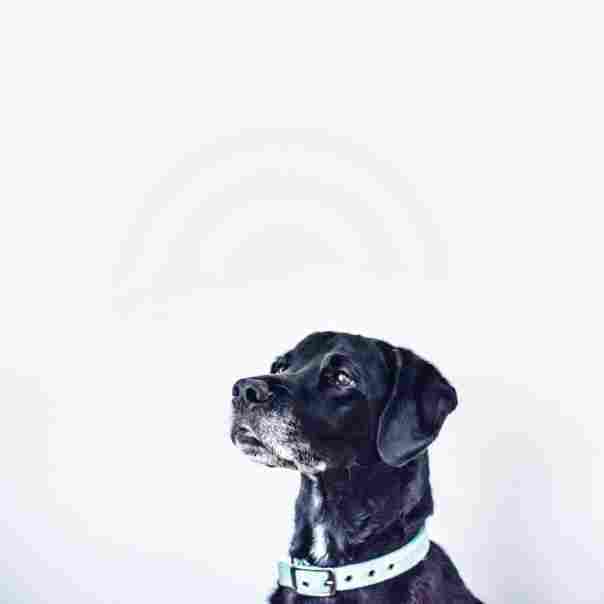 Another way that frustration aggression can affect dogs is when the dog becomes aroused due to a stimulus like a dog outside of a window or a doorbell and is then prevented from directing that aggression toward the stimulus. They can then turn that aggression to their owner or another dog in the form of an attack. Aggression motivated by fear. Dogs that fear for their safety will be more likely than dogs who are confident to bite another dog or a human. The threat that is perceived might be imagined or real. Keep in mind that the threat will be from the perspective of the animal. As an example, a person might be innocently attempting to reach the dog and get ahold of the collar, but the animal might look at it as them trying to do them harm. This can lead to the animal reacting in an aggressive manner. If your animal is aggressive, have a conversation with your vet to see if there is a medical reason for it. This is especially important if there are other symptoms. Aggression that goes along with things like lethargy, an increase in weight, and the loss of hair might be indicative of hypothyroidism. Aggression that follows convulsions, that occurs when the dog seems mentally absent, or in the midst of rapid changes in moods might be the result of partial seizures or falls. The damage that happens in certain parts of the brain due to hydrocephalus or some other disease, trauma, thyroid issues, or tumors can also lead to issues with aggression. Talking with your vet can help to diagnose conditions such as these and lead to medical treatments that might help. If your animal has been aggressive to other animals or to people, it is important to get help from a professional who is qualified to evaluate the animal and to provide assistance with behavior modification that is long-term. Don’t just expect the animal to just grow out of it or to get better by themselves. Aggression is an issue that is quite serious. Call a veterinary behaviorist if you need assistance with aggressive behavior modification. If the animal has bitten another animal or a person, you definitely need outside help. Here are a few steps to follow until you can get professional help. No contact at all with visitors. If you know people are coming over, put your pet either outside or in another room so that he will not be able to come into contact with them. If there will be children present, you might want to put them inside a crate and behind a door that is locked. Never just assume that everything will be alright because the animal is “ok for most of the time’’. No petting. Don’t allow other people, especially children, to get near your pet. If you can’t guarantee this, keep the animal in a safe room as just described. This rule should also apply when you are walking the animal. Never allow anyone to approach him or pet him. Even when the animal appears to be relaxed. Getting and using a basket muzzle can keep everyone safe if your animal is suddenly frightened or becomes aggressive. Don’t punish. 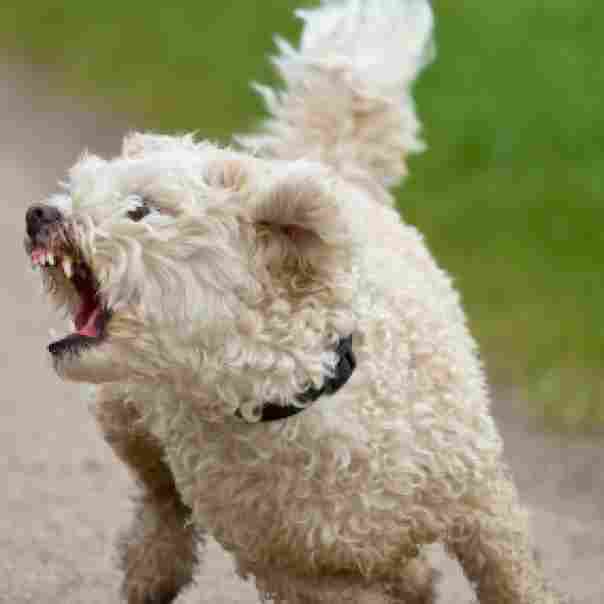 If your dog reacts aggressively, such as swatting, lunging, hissing, growling, or barking, just remove him from whatever situation is causing it. Get him far away to calm him down. Keep in mind that any sort of punishment, whether it is verbal or physical punishment, can make his behavior and aggression worse. Trying to show the animal who is the boss can actually result in injury to you or to other people or animals. Keep the animal on a leash. If you have an aggressive dog, he needs to be on a leash at all times when you are outside of your home or outside of a fenced in yard. 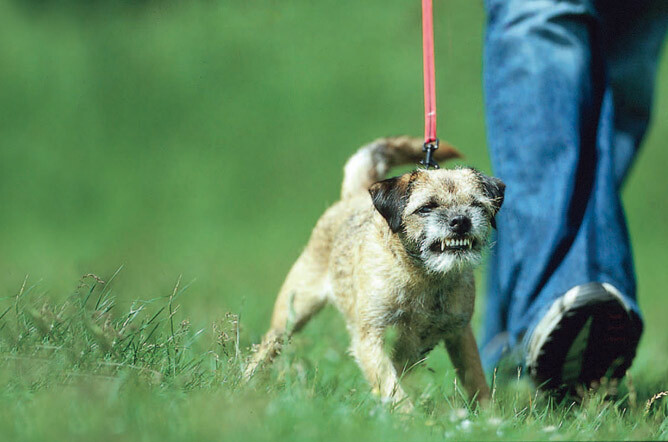 Playgroups, dog parks, and other activities that are off the leash are not good places for dogs who have a history of biting. It can be impossible to predict the response of a dog to other humans or animals and this puts all involved at risk. 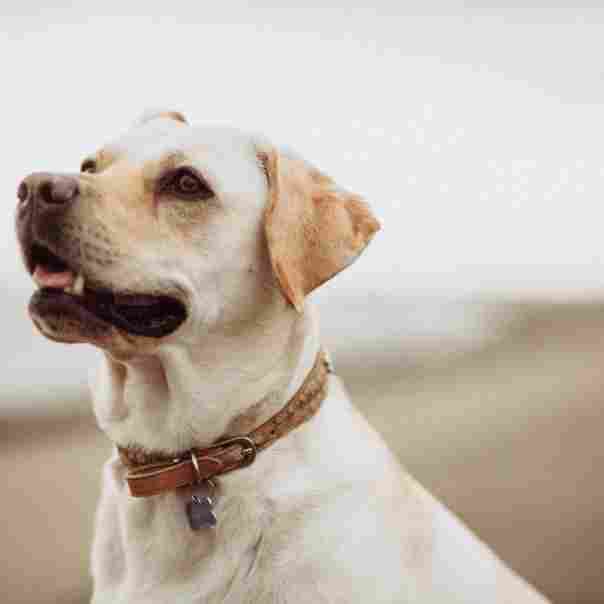 Instead, focus on providing the animal with plenty of exercises that can take the form of things like Frisbee or ball throwing, walks on a leash, and other activities of this nature. 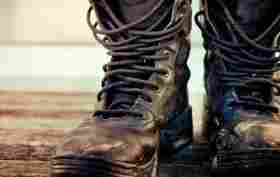 Mental exercises like tricks and obedience training are also good choices for burning that excess energy. Don’t leave him unattended outside. Dogs that lunge and bark at dogs and people passing by can’t be allowed to continue with this type of behavior. If they are, the behavior will just continue to get worse. If someone passing by happens to stick their hand through the fence and is bitten by your animal, you can be held responsible for the injury. In short, keep an eye on your animal. If you notice any sort of aggressive behavior get help right away.